Feeling sporty and adventurous? Well, this trip is made for you then! 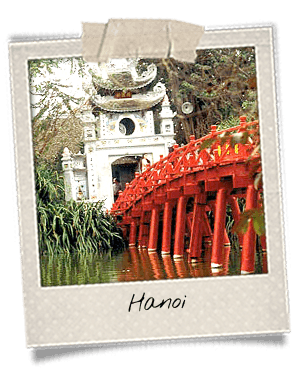 You will start your journey in Hanoi, the capital city, before heading to the Halong Bay where you will experience climbing the famous sugarloaf-shaped rocks and kayaking on the turquoise water. You will then take the train to go to Hue, the Nguyen’s former capital city. 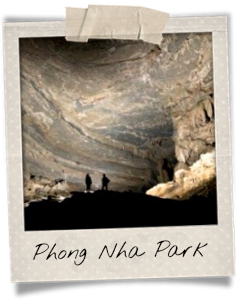 Afterwards, you will spend a few days in Phong Nha – Ke Bang National Park, a place that comprises hundreds of caves. Between hiking, waterfalls and encounters with minority groups, time will fly. You will even follow the Ho Chi Minh Trail for a bit since it crosses the park. Next stop: Hoi An and the Cham Island, where you’ll get to learn how to dive. You will tour the Cham remnants in My Son on the back of a bike. 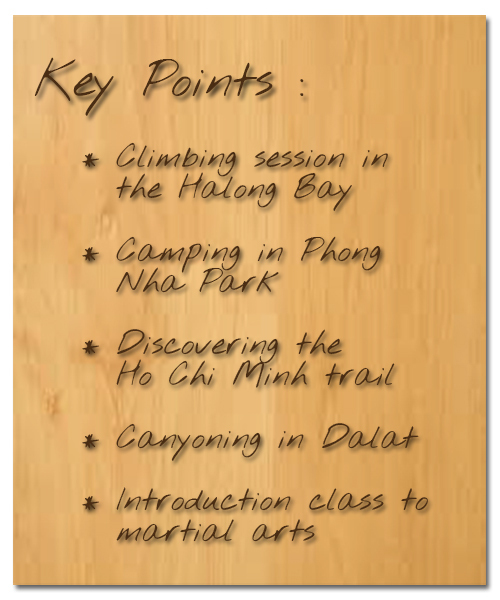 After that, get ready for a wonderful journey: you will connect Nha Trang and Dalat by bicycle! A 140-kilometer ride that goes through some of the most beautiful landscapes in Vietnam. You will end your voyage in Saigon, the southern metropolis, where you’ll be shown around on a motorbike. Arrival in Hanoi then car ride to the Old Quarter in the city-center. First encounters with Hanoi, the capital city: One-Pillar Pagoda, Literature Temple, Ho Chi Minh Mausoleum (outside) and Presidential Palace. At lunch, you will get to try local specialties such as cha ca la vong, a dish made of grilled fish. In the afternoon, you will be headed to the Museum of Ethnology which is located further aside from the center. It was inaugurated in 1997 by former French president Jacques Chirac. In that museum, you will discover artifacts, costumes and traditional houses of several Vietnamese minority groups. Take a walk in the garden and visit the houses! They were built by people from ethnic groups. Later in the afternoon, hop on a bicycle and enjoy a ride around the Lake of the Restored Sword (Hoan Kiem in Vietnamese), the Ngoc Son Temple and the 36 Street Quarter. Dinner at your discretion. Overnight at the hotel. After breakfast at the hotel, you will take a private car to go to Cat Ba Island. 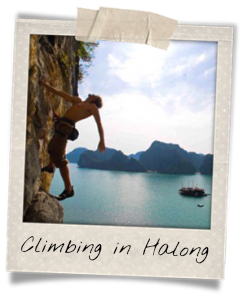 Once there, you will embark on a cruise through the Halong Bay or the Lan Ha Bay. 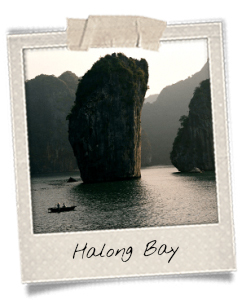 The latter is actually an extension of the Halong Bay but it bears a different name because it is situated in a different province. In the afternoon, fasten your harness and conquer the sugarloaf-shaped mountains of that majestic panorama. An English-speaking guide will assist you in your climbs. Dinner on board. Overnight on the boat. Journey length: 3 hours from Hanoi to Cat Ba. 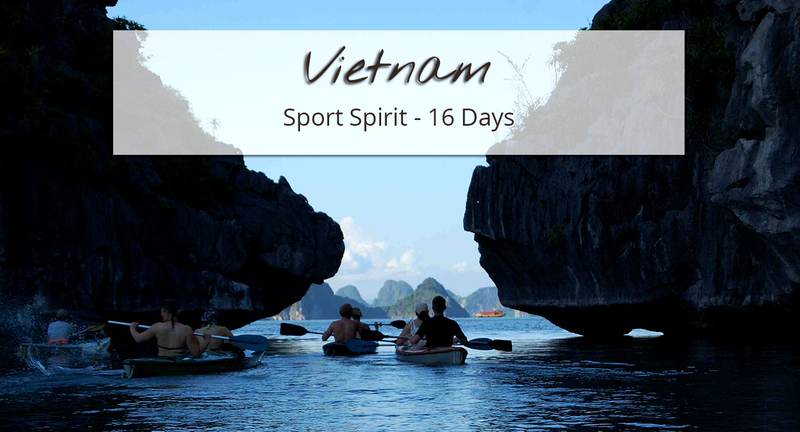 For your last time in the Halong Bay, you’ll have the opportunity to go kayaking until the end of the morning. Paddle on the bay’s tranquil water, explore natural caves and take a dip in the Gulf of Tonkin! In the afternoon, you will head back to Hanoi in a private car. Once in the capital, you will be brought to the station where you will catch the night bus to Hue, in central Vietnam. The train leaves around 7.30 pm. You will spend the night over the train, an interesting experience that not so many tourists try during their holidays! All set up in your sleeping-car, you will get dinner on board. After having had breakfast on board, you will arrive in Hue, the former imperial city. A car will be waiting for you and the chauffeur will drive you to the city center. 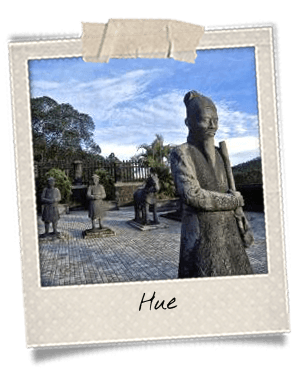 Until 1945, Hue was the capital of the Nguyen Emperors who used to rule Vietnam. Extremely bombed during the Indochina Wars, the place yet offers impressive remnants of its former grandeur. You may tour several ensembles around the Perfume River: the imperial city, the Forbidden City and the Citadel, all listed as UNESCO World Heritage sites. Hopefully, those visits will whet your appetite and you will get lunch in a local restaurant. In the afternoon, you will go further in the city and visit the Thien Mu Pagoda, also known as the Celestial Lady Pagoda, as well as the imperial tombs located just outside the city. Built when emperors were still alive, they are not only graves, they are also places for life and entertainment. One of the most beautiful may be Tu Duc’s, comprising a romantic and very poetic setting. The tomb of Khai Dinh is quite surprising because of its contrasts: the outside, made of concrete, is very dark, whereas the inside contains colorful ceramic and glass mosaics everywhere! Dinner not included. Overnight at the hotel. You will head early in the morning to Phong Nha – Ke Bang National Park, listed as UNESCO World Heritage Site and stretching over 125 thousand hectares. The park is located between Laos and Vietnam. 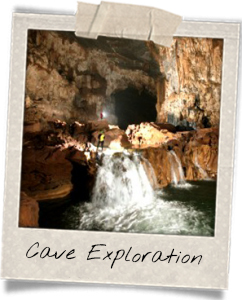 Its main features are its limestone area location, its huge number of caves and grottos, and its underground rivers. You will check in at the hotel in the afternoon and take some rest if you feel like it. 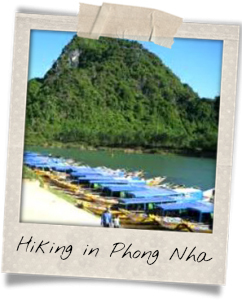 Around 5 pm, you will follow your guide through the park: he will lead you to the Phong Nha Cave by kayak. Indeed, the entrance of the cave is on the water thus the only way to get in is to go through the river. The cave itself comprises many chambers and amazing stalactites and stalagmites. At night, enjoy a barbecue in the park, in front of the Phong Nha Cave. Embrace the atmosphere of that park that comprises some of the biggest caves ever discovered on earth. Some of them were discovered only recently (2000s). Journey back to the hotel. Overnight at the hotel. After breakfast, you will go around Tan Hoa Village, inhabited by Vietnamese ethnic groups, about 70 kilometers away from the park. You will be starting your hike from there and will walk around the village. 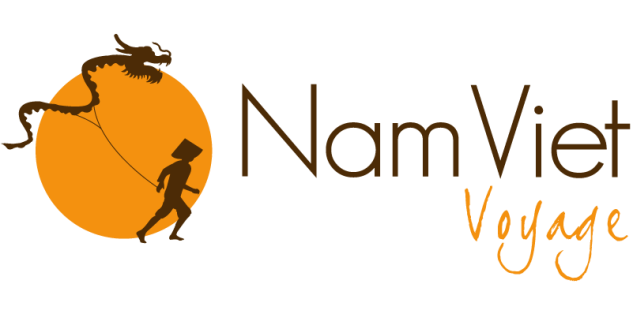 The route will bring you at the heart of nature, paddy fields, peanut fields and buffaloes. You will sail up the Rao Nan River to access the Tan Hoa Cave network. The first cave on your way will be the Secret Cave. You will continue your route in the Hung Ton Valley and on the Hung Ton Mountain before picnicking near the To Mo Waterfall. In the afternoon, you will hike to the Tu Lan Valley. You will get to rest there and take a dip before delight yourself with a delicious barbecue. You will then camp in nature. From Tu Lan, you will go to Hang Kim and walk in the surroundings. Explore the cave and enjoy the waterfall. After that break, you will go back to Tan Hoa Village where you will have lunch in a local restaurant. You will continue hiking in the afternoon. You will even walk on the Ho Chi Minh Trail! Built during the first Indochina War, it goes through very remote regions in Vietnam, at the heart of the jungle. It was used to carry food, weapons and anything else needed to the Viet Cong Army, from north to south during the whole period of the war. Well-hidden, it was never discovered by the enemies. A part of it goes through the Phong Nha Park. You will go back to the park around 4 pm and will meet your guide who will bring you to Chay Lap. You will get to meet a family and prepare dinner with them before sharing the dishes all together. You will sleep there. After breakfast, you will reach the Chay River and go kayaking to Suoi Nuoc Mooc, a place that local people have dubbed “Mini Halong” (about 3 kilometers). In the afternoon, leave the paddles and hop on a bicycle to go to Phong Nha – Ke Bang Park. You will ride around with the guide who will show you some of the most beautiful locations in the park. 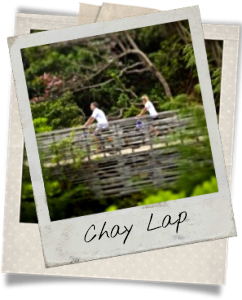 At the end of the afternoon, you will go back to Chay Lap Village. After breakfast, you will leave early in the morning to go to Hoi An, that you will reach at the beginning of the afternoon. Lunch in a local restaurant on the way there. Once in Hoi An, you will have time to rest before leaving at the end of the afternoon for a tour of the Old Town at dusk. Discover a magical ambient with lanterns hanging everywhere in the streets and slipping on the river. The entire Old Town is listed as a UNESCO World Heritage Site: old colonial houses neighbor Chinese villas and Buddhist pagodas. 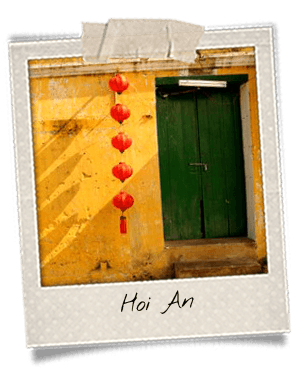 Enjoy that free-time day to take a stroll in Hoi An and discover monuments on the way: the Japanese Bridge known as Lai Ven Kieu in Vietnamese, Chinese houses and colonial villas. You may also want to go to a tailor and have some clothes made: there are plenty of shops in Hoi An! For lunch, we suggest that you try a local specialty, cao lau, which is impossible to find elsewhere in Vietnam. Indeed, the thick noodles contained in that dish are boiled in water that only comes from the Ba Le Well in Hoi An and is mixed with a certain type of ashes. The recipe remains secret. Only a few local families know how cao lau is really made. Besides noodles, it includes braised pork, herbs and croutons. A must-try during your trip! In the afternoon, why don’t you go sunbathing on Cua Dai Beach? Only 5 kilometers from the city-center, this white-sand strip stretches in front of turquoise-blue water. Long chairs are available for visitors but you may also lie down on the sand if you feel like it! Get a big breakfast because that morning will be intense! Indeed, you will be diving in the depth of the Cham Islands’ surroundings. 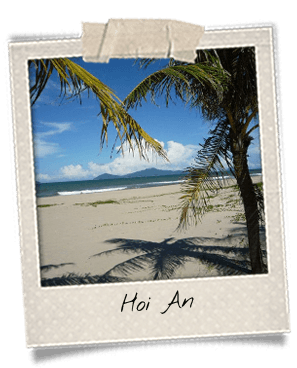 They are situated 15 kilometers from the coast of Hoi An. Only the main island called Hon Lao is inhabited. 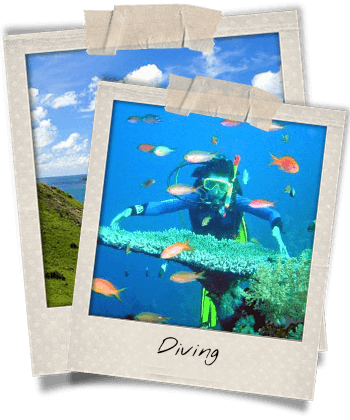 You will get on the boat with your diving instructor and will be explained basic diving notions. In the morning, you will have the opportunity to do two 45-minute “discovery” dives, at a depth varying from 8 to 10 meters down. Cham Islands are best-known for their bottoms and coral reeves gathering diving fans but also underwater photography addicts. The place is a national preserved structure. At lunch, you will try seafood specialties on Hon Lao Island. Then you will trek the island, visit fishing villages and take a glance at inhabitants’ daily life. You may also enjoy the beach and take time to unwind in a hammock, sunbathe or go snorkelling (masks and tubas available on site). You will go back to Hoi An at the end of the afternoon. Dinner not included. Overnight at the hotel in Hoi An. In the morning, you will hop on a bicycle and follow your guide towards My Son, about one hour away. This UNESCO-listed site contains the more remnants from the Cham civilization in all Vietnam. It is located at the heart of a lush valley. There used to be 68 buildings in My Son but a lot of them were destroyed by American bombs. Only 20 of them stand today but they are enough to show the beauty and the importance of the place. 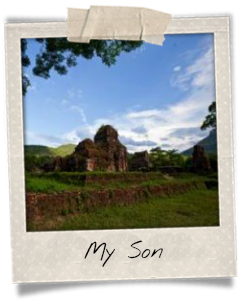 Indeed, My Son used to be the most important religious and intellectual center of the Cham Kingdom, but also the place of rulers’ burial. After the visit, you will attend a traditional Cham dance show before heading back to Hoi An. You will get lunch in a local restaurant. Free time in the afternoon: go back to the Old Town to discover more or take some rest at the beach. Around 6 pm, you will go to the station in Danang and take the overnight train to Nha Trang. You will spend the night in a sleeping car with A/C. Arrival in Nha Trang in the morning. You will get breakfast there before riding your bicycle towards Dalat, along with your guide. A logistics vehicle will follow the group along all the way. Would anyone want to stop cycling, the vehicle will carry them to Dalat. 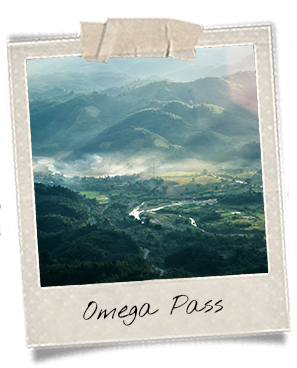 The route will go through Hon Gia Pass, also called Omega Pass and situated 1 700 meters above the sea level. In the afternoon, you will continue the ride toward south. You will reach Da Sar, a place situated at the heart of hills and forests. If you feel like it, you will have the possibility to stop and admire the gorgeous waterfall there. Arrival in Dalat in the beginning of the evening. Journey length: 8 hours cycling, 140 kilometers from Nha Trang to Dalat. 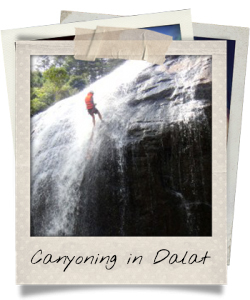 After breakfast at the hotel, you will be headed to Datanla Waterfall in Dalat’s surroundings. You will go canyoning in the morning and picnic along the river. NB: Canyoning in Dalat is now unavailable until further notice. Another activity will be offered such as trekking or bicycling. In the afternoon, you will get to walk around the waterfall and explore the place before going back to the hotel and take some rest. Dinner not included. Overnight in a private vehicle that will drive you to Saigon. Journey length: 7 hours driving from Dalat to Saigon. 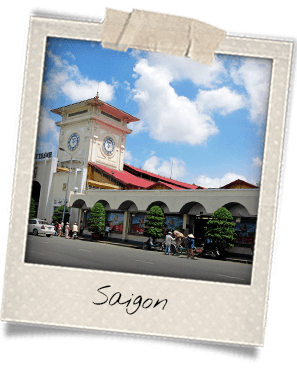 You will arrive in Saigon early in the morning and will get breakfast in a local restaurant. A private vehicle will then take you to the hotel where you will be able to leave your luggage. Your driver will carry you around the most famous places in the city-center: Notre-Dame Cathedral, the Post Office, the City Hall, the Opera House, the main avenues… Then he will bring you to a much more secret place in Saigon, where skyscrapers disappear and leave some room for paddy fields, peopled with peasants and farmers, and where tranquility is the motto. Saigon’s countryside is only a 20-minute ride away from the center and yet, only few people know it even exists. You will get lunch in a Vietnamese restaurant along the Saigon River and enjoy an amazing setting. You will also get to take a glance in the kitchen and watch your lunch being prepped! Free time and rest in the afternoon. After breakfast at the hotel, you will go to Binh Chanh District to visit a pagoda, further from the city center. 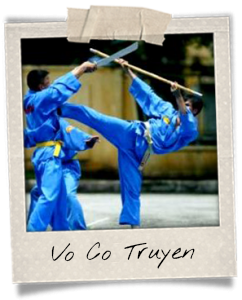 There, you will get an introduction lesson to Vo Co Truyen, a traditional Vietnamese martial art. Afterwards, you will get lunch in a local restaurant. Free time in the afternoon: buy the last souvenirs to bring home! Dinner not included. Journey to the airport. Departure.